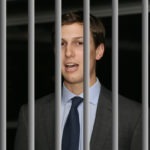 Nearly a year ago, we all learned that Special Counsel Robert Mueller was investigating whether Jared Kushner put Donald Trump’s foreign policy positions for sale in exchange for badly needed loans to bail out his failing real estate empire. Now one of the nations involved is finally throwing Kushner under the bus. Qatar loaned a significant amount of money to Jared Kushner in 2018, in the name of saving his skyscraper at 666 Fifth Avenue in Manhattan from going bankrupt. The question has been whether Kushner abused his White House position to ensure that the U.S. government gave Qatar favorable treatment in return, by ending a trade blockade. We still don’t definitively have that answer, and we’ll have to wait until Mueller completes his Kushner probe. But now, according to Reuters, government leaders in Qatar are claiming that it didn’t even know about the loans to Kushner. Wait, what? It sounds like the Qatari leadership is trying to insulate itself from this scandal by asserting that it didn’t know its underlings were participating in a pay-to-play scheme with Jared Kushner. Typically, when a government sees investigators closing in, and knows it’s about to get exposed for having participated in a scheme like this, the uppermost ranks of the government claim that it was solely the work of their underlings. Whether or not the leaders of Qatar can sell this excuse, and thus keep the international criminal heat off themselves, remains to be seen. But this is an unmistakable signal that Qatar expects the Kushner pay-to-play scandal to get blown wide open soon, and it’s trying to get out ahead of it. Is Qatar merely guessing that Robert Mueller is about to take his big swing at Jared Kushner, or does Qatar know something we don’t?